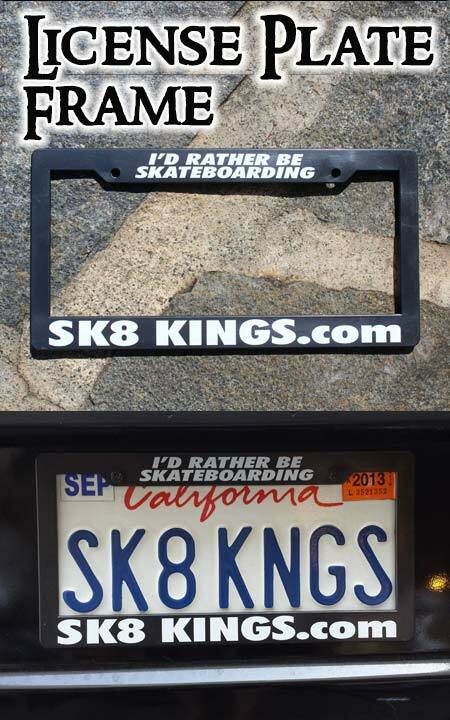 We had lots of requests and just couldn't resist adding these cool license plate frames to our accessory line. So when you're toolin around town in your car -- you can at least let the world know what you would rather be doing -- skateboarding of course! Black frame with white print -- hard plastic frame fits standard license plates and mounting hardware.